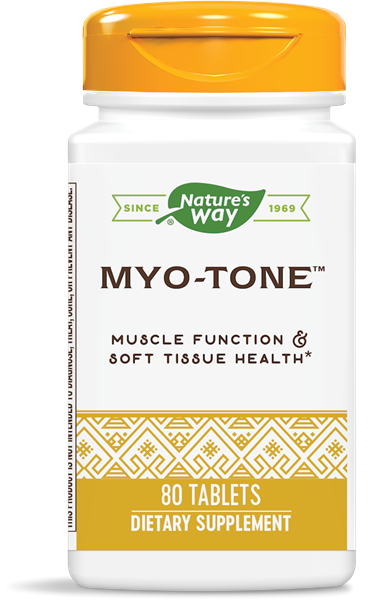 Myo-Tone™ / 80 tabs - Nature's Way®. Why support muscles, tendons and ligaments with supplements? Take 2 tablets three times daily. If pregnant, nursing, or taking any medications, consult a healthcare professional before use.